The Pan-Massachusetts Challenge is this country’s original fundraising bike-a-thon and it's most successful. Today, the PMC raises and contributes to charity more money than any other athletic fundraising event in the nation. On August 1st and 2nd, 5,200 cyclists will ride to bring the PMC’s 29-year Jimmy Fund contribution towards the unbelievable $275 million mark. This will be the 30th PMC. The 2008 Jimmy Fund contribution was $35 million. This Sunday, August 2nd, a large number of these cyclists will pedal their way through the Outer Cape on their way to Provincetown, the terminus. The Route: They will come into Orleans on via the Bike Path to West Rd, through Rock Harbor, and onto Bridge Rd into Eastham. Once in Eastham they will follow Bridge to Herring Brook Rd to Oak Rd. From there they will follow Route 6 to the Bike Path which they will follow to Wellfleet where they will transition to the back roads along the ocean, eventually takeing Route 6 into P-Town. There are water stops in Brewster (Nickerson State Park) and Wellfleet (Wellfleet Elementary School). The cyclists who started in Sturbridge will have ridden 192 miles by the time they get to P-Town. The Wellesley starters will have ridden 163 miles. It will be colorful 'parade'. Today's New York Times ran an article that brings hope to those waiting for the real estate market to turn around. Might it be time to declare a 'bottom' and move on? The article mentions that many think the $8,000 first time homebuyer credit is helping the turnaround. The National Association of Realtors (NAR) wants to expand the current credit, which expires in December, with a $15,000 credit for all buyers. This would be great for the Outer Cape market if it also included second homes. 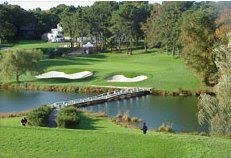 The Cape has over 50 golf courses, the most of any area north of Myrtle Beach (note - unverified factoid). The Boston Examiner ran a story about the best courses that non-members can play, for a fee. It's a good list, and I've already played 4 of them. The Examiner story can be found ... Here. Also, the golf on Cape Cod website has lots of information about the many courses - including where to call for a tee time. Inner, Outer, Upper, Lower - Help! How come the Lower Cape seems to be above the Upper Cape? What's the difference between the Outer Cape and the Lower Cape? Why does Route 28N go due south in Orleans? Is it "east-um" or East-HAM? The answers are a combination of Cape-speak and some twisted history. Check out this cute story from last Sunday's Cape Cod Times. Is it all clear yet? Located in the outer reaches of Cape Cod are the Truro Vineyards. Their tasting room and gift shop are housed in a restored 1830's farmhouse. During the summer, wine tastings are held outdoors under a "tasting tent" near the vineyard. Sit down and relax as you sample several of their specialty wines. In addition, guided tours of the vineyard and winery are offered in season, from Memorial Day to Columbus Day, at 1PM and 3PM. It's a lot of fun, and great wine! Go to the Winery's new website for more info. More Summer Fun? Go to http://SummerFun.RobertSheldon.com for more ideas. 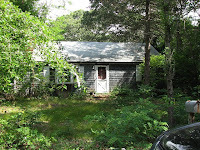 Yesterday there was a home sale closing in Eastham of a home that sold in the $100K's. I didn't know how rare it was until I did a MLS search on Eastham sales. The home, at 90 Silver Oak Rd, is about 1100 sqft on a 3/4 acre lot. The home sale was forced to close out an estate. To be fair, this house needs a lot of TLC. I checked the current 'Pendings' and discovered that there are 3 more sub-$200K homes expected to close in the next few weeks. How did we miss this? Every year they hold a sand sculpting contest at Revere Beach, Massachusetts. This year it was held July 16th to 18th. Check out the official website and it's photos. Also, Boston.com has a slideshow of the significant entries, including the winners. Spectacular! Take a look. What happens when a Florida newspaper reporter, who has always wanted to check out New England, spends a week on Cape Cod? Firstly, she writes a great article for the St Petersburg Times. She also puts together a great slideshow to supplement the web version of her article. Be sure to check out both. The author, Janet Keeler, was surprised by the baseball, the Wellfleet Drive In, the laid-back lifestyle and many other 'features' we take for granted. Enjoy! Eastham - SHORT SALE - NEW LISTING - This updated contemporary Cape has had several major renovations, including a large family room. There is a large first floor master bedroom and open beamed vaulted ceilings with a skylight. Open floorplan. This house has really nice landscaping, and sits on a quiet cul-de-sac. Come check it out. This is a short sale, listed at a significant discount to its assessed value of $447,500. Listed at $399,000. Take a look at more photos, a map, and a virtual tour at http://210serbst.robertsheldon.com/. Pirate Booty Found By JFK Jr. The Boston Herald ran a story that the treasure hunters that found the pirate ship Whydah may have had help from John F Kennedy, Jr. It seems that JFK, Jr was a diver that did a fair amount of diving off the coast of Wellfleet and noticed an unusual pattern on the ocean floor, a pattern he thought might be caused by a row of buried cannons. Only recently did they follow up on the 'lead' and discovered not only the cannons, but a compass that probably belonged to JFK, Jr. Interesting reading! 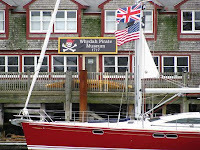 Other Whydah findings can be seen at the Whydah Museum in Provincetown. Check out the museum online... Here. Fun for the family on a rainy day. 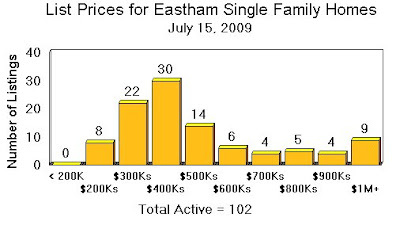 From my newsletter you saw that the first half 2009 closed sales in Eastham are skewed dramatically toward the low end. The $200Ks and $300Ks are selling well while the higher priced homes (ie $400Ks - $800Ks) aren't selling much at all. It begs the question about the current inventory in the various price ranges. Below is a graph of the 102 active listings in Eastham. Download a copy of my August 2009 newsletter. Traffic Circles, Rotaries, and Roundabouts, Oh My! What I've always called traffic circles apparently come in several varieties. A traffic circle can be very large and have many entrances that come in at an angle so the incoming vehicles don't necessarily need to slow down significantly. A rotary is a smaller version of a traffic circle. I would call the Orleans/Eastham rotary a rotary (see, I just did!). A roundabout is much smaller yet, with the entrances coming in much straighter, forcing traffic to slow down. Rotaries and traffic circles are much safer than 'regular' intersections. While there may be lots of accidents, they tend to be fender-benders, versus injury-causing accidents. Why is this interesting? Well, there is some consideration being given to installing a roundabout at the intersection of Routes 6A and 28 in Orleans. There seems to be a high occurrence of accidents at that intersection. Go to the Cape Cod Times article to read about this 'improvement'. My August 2009 Newsletter Is Available Now! What do 'add a deck', 'update your kitchen', and 'update your windows' have in common? Well, the title gives it away. They are among the top 10 things you can do to add value to your home when it comes time to sell. Take a look at the whole list, from HGTV's FrontDoor.com. Many of you have taken the obligatory whale watch, either out of P-Town or Barnstable Harbor, but have you done a seal watch? Large numbers of Grey seals inhabit the sand bars around Chatham's South Beach and Monomoy Island. This tour takes a little over an hour and (optionally) can include a time on South Beach for a swim or a picnic. At low tide hundreds (thousands?) of seals sun themselves on the exposed sand bars. It's a lot of fun for the whole family and not awfully expensive. The seals come right up to the boat so everyone can get a close look. Go to the Monomoy Island Ferry or Outermost Harbor Marine websites for details. I've taken this 'watch' - super cool! The Boston examiner recently ran an article highlighting Monomoy Island, truly a treasure. Read it HERE. The sales of single family homes in Eastham, so far this year, have been very interesting. Volume-wise, sales are down a third from 2008. Dollar-wise, they are heavily skewed toward the low end. I'll post a graph in a day or two (after my newsletter goes out - subscribe here), but the 'raw data' is posted on my website, at http://MidYearSales.RobertSheldon.com. Hmmm! Last Wednesday was a cloudy day, so we took a few friends to Provincetown for a day to play tourists. It was a good day and I took a few pictures. Take a look at my slideshow.... Here. 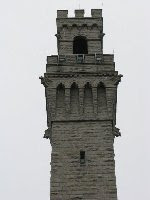 The picture here is of the Pilgrims Monument. The quality of the water that we swim and play in is always a concern. The Barnstable County tests the quality of our ponds and Cape Cod Bay beaches weekly and posts the results graphically on their website. When there is a 'fail' due to bacteria they re-test the very next day, to minimize the beach closure. So far, there has only been one Bay beach closure, on a rainy day in mid-June. Check out their website (& check the water!). The tall ships have arrived in Boston, where they are open for visitors until Monday, when they leave for Halifax. Catch this video supplied by the Patriot Ledger. Go to the Ledger for the full story and another video. If your primary home is off-Cape and you own a second home in Eastham, then you need to keep up with the issues and attend the annual Members' Meeting of the Eastham Part-time Resident Taxpayers Association (EPRTA). This year it will be held at 9 AM on Saturday, July 11th, at the Elks Club on McKoy Rd. The meeting is open to non-members. Membership is cheap ($20) and they have a very informative quarterly newsletter. The officers of this group work hard to keep the Eastham town officials aware of the issues that concern part-time residents. Go to their website to see what the EPRTA is about and to download their most recent newsletter (where I provide their real estate update) . Fiona the yellow lobster, the 1 in 30 million rarity, has found her way back to Canada, where she was originally found off Prince Edward Island. She is now at the Huntsman Marine Science Centre in St Andrews, New Brunswick. The aquarium will add Fiona to their 'collection' of unusual lobsters. Last year they rescued a behemoth 22 pound lobster. Fiona had found her way to Arnold's Restaurant in Eastham, but the owner felt that it would be wrong to turn her into a lobster roll. Read the story on CBC's online webpage. 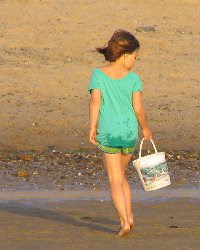 The Head of the Meadow Beach, one of the Cape Cod National Seashore's many ocean beaches, was featured on the Boston Examiner's online edition. This beach is in Truro at the north end of the Seashore's 50-mile outer Cape beach. 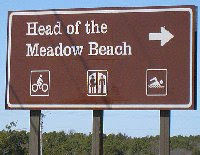 Check out the Head of the Meadow Beach. The Arts Foundation of Cape Cod, the Citizens Bank Foundation and the Eastham Visitor Services Board are presenting free Wednesday night (6:30 - 8:00 PM) outdoor concerts at the Eastham Windmill Green. These concerts are in addition to the Monday night concerts discussed earlier. Go to the concert schedule on the Arts Foundation website. SailBoston - The Tall Ships Are in Boston - Soon! Boston is an official port call of the Tall Ships Atlantic Challenge, a five-leg race and cruise in which many of the expected Tall Ships are participating. Those ships will be sailing from Charleston, S.C., and arriving outside Boston Harbor between Monday, July 6th and Wednesday, July 8th. The general public will be able to see the vessels from the pier, and tour some of the ships between Thursday, July 9 and Sunday, July 12 at Charlestown Navy Yard, the Seaport World Trade Center, and the Boston Fish Pier. To see which tall ships will be coming to town and to see a detailed schedule of the many events, go to http://www.SailBoston.com/. Cool!